The FBG is the essential food yield information resource for all Child Nutrition Programs. The FBG Mobile App represents a major step forward in the agency’s commitment to customer service, providing key information at the fingertips of child nutrition program operators so they can serve wholesome, nutritious, and tasty meals to our nation’s children. FNS sought feedback from our stakeholders, who asked us for a more streamlined way to access the information they need to plan meals and purchase foods for child nutrition programs. We were determined to provide a solution. The new mobile app fills this need by making it easy for program operators, manufacturers, and other stakeholders to access the same information found in the interactive Food Buying Guide available online through their mobile devices, whenever and wherever it is convenient for them. The FBG is the essential resource for food yield information for all child nutrition programs, including the National School Lunch Program, School Breakfast Program, Summer Food Service Program, and the Child and Adult Care Food Program. Yield information helps operators know how much food to purchase and how that food will contribute to the meal pattern requirements to ensure that children are getting proper nutrition through the programs. Program operators can also use the FBG Mobile App on-the-go to make quick purchasing decisions from mobile devices. The new app includes food yield search, comparison, and navigation features for more than 2,100 foods typically served in child nutrition program settings, and can help users create favorite foods lists. The app also provides program-specific information for meeting each meal pattern component, as well as additional menu planning resources. All of this can result in cost savings and increased program efficiency in the FNS child nutrition programs by helping operators know exactly how much food they need to buy – whether for 30 kids or 30,000. It could also help improve program integrity by making it easier for program operators to adhere to federal nutrition requirements. This highly anticipated app has the potential to reach more than 280,000 program operators as well as representatives from across the food industry to help better serve more than 34 million children each day. 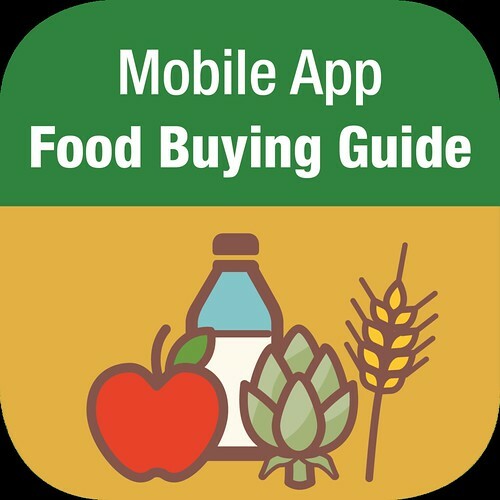 The FBG Mobile App is free and available to the public at https://fns.usda.gov/tn/team-nutrition and on the Apple App Store for the iOS platform; an Android version will be available at a later date. Download it today and help spread the word about this new tool. For additional technical assistance resources including standardized quantity recipes, visit USDA’s Team Nutrition Web site where you can find menu planning inspiration. Follow @USDANutrition on Twitter to learn more about the agency’s 15 nutrition assistance programs. It surely is a bold step forward toward providing nutrition to our children who will lead the nation. Hope, little ones will be covered not only in the urban but also in the rural and very remote areas.